Tour the highlights of the Pacific Northwest winter with stops at Mt. Bachelor, Mt. Hood and Crater Lake National Park. Winter fantasy becomes reality as you embark on this Oregon winter vacation, experiencing the best of this magical season with snowy landscapes and wintertime fun. Combining comfort and adventure our expedition is perfect for those looking for something uniquely different from mass tourism options, during a time of year when snow and short days with magical sunrises and sunsets are a given. Enjoy winter fun, with skiing, snowshoeing and dog sledding options at the top of Oregon’s Mt. Bachelor and Mt. Hood during this one week winter tour. Drive along the Columbia River and explore Oregon’s tallest waterfall without the crowds. Hold on to your lantern and snake your way through deserted lava tubes at the Lava Beds National Monument, complete with many outstanding geological features and Native American history. Watch thousands of waterfowl, eagles and the rare otter at the Klamath Basin National Wildlife Refuge during the heart of winter migration. The tour itinerary covers the highlights of the Oregon winter, join us for an unforgettable experience. Enjoy the views from Mt. Hood and Mt. 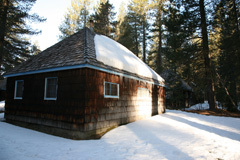 Bachelor with optional winter activities including skiing, snowshoeing, and sledding. Snowshoe along the Crater Lake National Park rim with stunning views of the lake below. Drive along the Columbia River and explore Bonneville Dam with its fish ladders and interesting history. See Multnomah Falls, Oregon’s tallest waterfall and second tallest in the USA, without the crowds. Watch wildlife, including waterfowl and eagles, at the Klamath Basin Wildlife Refuge during the heart of the winter bird migration. Wander through lava caves at Lava Beds National Monument. Contact us if you are interested in a custom version of this tour. 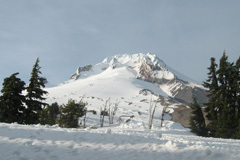 Interested in the Oregon Winters tour? Please contact us! We are happy to answer your questions. The Oregon winter tour interactive vacation schedule offers you further information about a variety of the places that you will visit on adventure. The schedule provides a daily breakdown of tour highlights and gives you a chance to further explore the various locations along our tour route. With colorful pictures and accurate descriptions you can gain a better idea of what these winter tours have to offer. 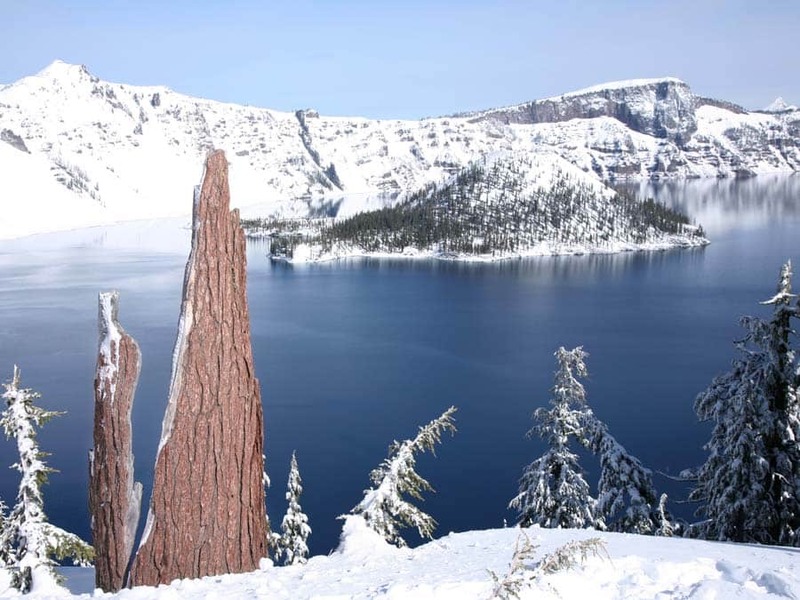 Oregon Winter Tour – Accommodations – Travel Dream West has carefully chosen hotels and lodges for their charm, uniqueness and great service. 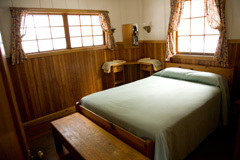 Accommodations are in two and three star hotels, cabins or historic lodges. Several include breakfasts and all are located for easy access to sights and activities. This Oregon Winter Vacation offers snow fun for all interest levels. With time for skiing, snowboarding, sledding, snowshoeing and dog sledding our winter adventure has a range of fun activities, many of them optional, built in to the itinerary. More than just snow – we explore locations that offer wonderful photography opportunities.